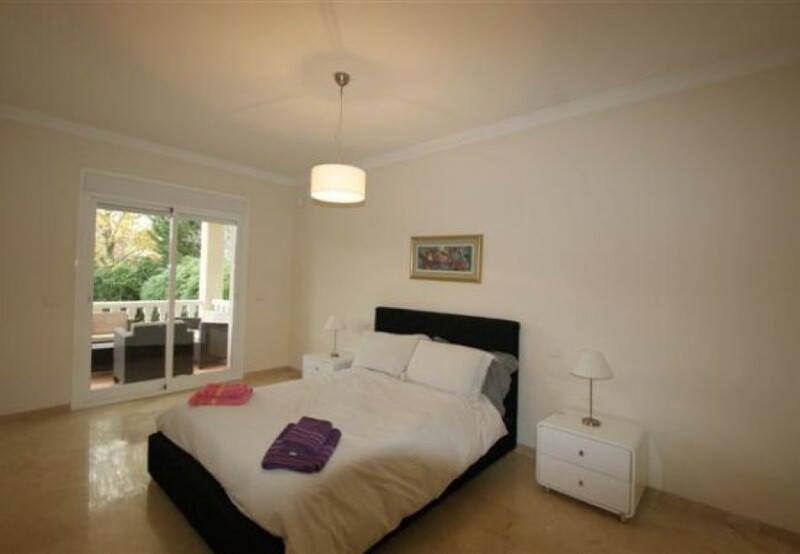 Bright and cheerful villa within walking distance to shops, restaurants and Puerto Ban�s. The villa is situated in one of the best residential areas close to Puerto Banus called Atalaya de Rio Verde neighbouring with some very large mansions. Four bedrooms, 4 bathrooms, lounge with fireplace, fully fitted kitchen with breakfast area, large play room in basement with some gym equipment and a study lounge area on top floor leading out to a chillout terrace. In the basement there is a laundry area and a garage. The built area is 352 m2 plus 66 m2 of covered terrace. This house has combined all the charm of rustic style with some modern touches and finishing qualities include: double glazed windows, electric blinds and underfloor heating in bathrooms. Smoking is not allowed in the villa.